We all know how divorce is portrayed in popular media: it is a difficult, fiercely contested battle of opposing interests that can get dragged out for years and that leaves everyone with hurt feelings. The reality is far different. While ending a marriage is always challenging, not every divorce has to turn into a nasty fight. Through mediation, many divorcing couples in Florida have been able to reach the best possible resolution for their specific situation. 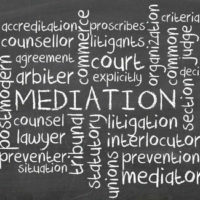 Mediation is a form of alternative dispute resolution that is well-suited for many family law issues. Of course, even in an effective mediation, it is often inevitable that couples will reach some type of impasse. Here, our skilled Clearwater divorce mediation lawyer offers five useful tips for overcoming impasses in a family law mediation. Even if you and your spouse are splitting on good terms, a divorce mediation can still get heated. It is normal for both sides to get emotional. In some cases, the best thing for all parties is to simply take a 15 or 30 minute break. Everyone can return to their own corners, leave the room, and get some fresh air. A little bit of distance can help to cool off the emotional temperature in the room. In most Florida divorce cases, there are many issues that need to be resolved. 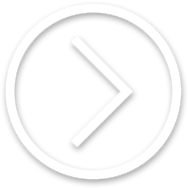 From property division to child custody, different issues are trigger points for different couples. If you hit an impasse over a certain point, it is generally a good idea to move on to something else. Divorce mediation should always be future focused. Assigning blame, recounting the past, and looking backwards can prevent you from making real progress. Your rights and interests must be properly protected at every stage of the mediation and the most effective way to do this is with a future-focused mindset. One of the most effective tactics that divorce mediators use to help break impasses is simply recounting all of the progress that has already been made by the parties. While this may sound simple, it works well in many different cases. When divorcing couples can see how far they have come together, it can be easier to continue to work together and find a solution. In all too many cases, a divorce mediation will reach an impasse because the parties are not really listening to each other. This leads to circumstances in which parties are fighting over entirely different questions. By clearly clarifying the specific terms of the dispute, couples will sometimes realize that they are not that far apart after all. At the Law Office of Gale H. Moore P.A., our legal team is able to assist you as a divorce mediator no matter where you are in the legal process. In this role, we will not represent any party. Instead, we work to facilitate the best possible resolution. To learn more about our divorce mediation services, please do not hesitate to call our law office today at 727-584-2528. We look forward to working with you. The Law Offices of Gale H. Moore is committed to providing exceptional divorce representation to clients in the Clearwater-St. Pete area. Here, we answer some questions people often ask at the onset of the divorce process. Do I have to hire an attorney to obtain a divorce? If you are considering divorce and you live in the Clearwater-St. Petersburg area, contact the Law Offices of Gale H. Moore to schedule a consultation. We will explain your legal options, so you can make the best decisions for yourself and your family. Disclaimer: The invitation to contact our firm does not create an attorney-client relationship. The Law Office of Gale H. Moore, P.A. respects your privacy online and will not share your name and contact information with a third party without your consent. © 2018 - 2019 Law Office of Gale H. Moore, P.A. All rights reserved.